One of my favourite things about London is how you can eat your way around the globe no passport required – just Oystercard. Scandinavia has been having a moment. Noma in Copenhagen has been voted the Best Restaurant in the World four times in the last six years, and Scandi-Noir has been taking over our TV screens. 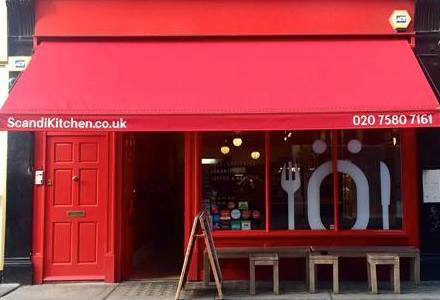 Specialist tour operator Transun asked me for tips on the best places to sample authentic Scandinavian food in London and my first thoughts were Scandinavian Kitchen, a cheery slice of Scandinavia just off Oxford Street. Founded by a Swede and a Dane seven years ago, the café and store is a great place to grab a taste of Scandinavia. I don’t necessarily believe that expats are a sign of a good restaurant, but the customers in the café seems to be a good balance of Scandinavians. A Danish-ex means I’ve eaten my fair share of Scandinavian food and though I’m no expert, I know good food when I see and taste it. 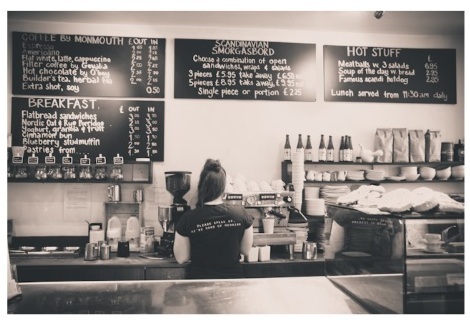 Scandinavian Kitchen offers delicious, comfort food served by friendly staff in a warm and welcoming atmosphere. Forget fancy, we’re talking fresh and flavourful. More mama than Noma. The café menu features the greatest hits of Scandinavian cuisine. 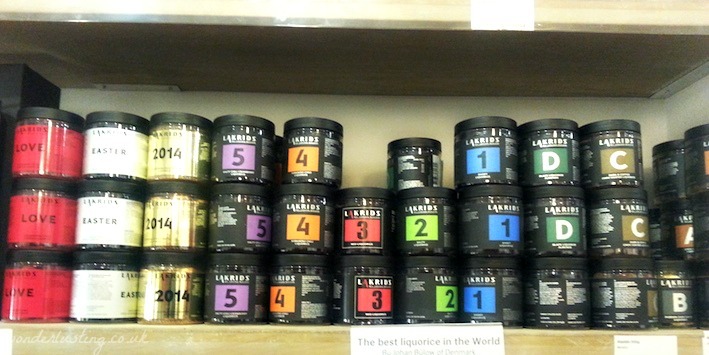 Think smorgasbord, meatballs, gravalax, seafood and more salty liquorice than you can shake a stick at. 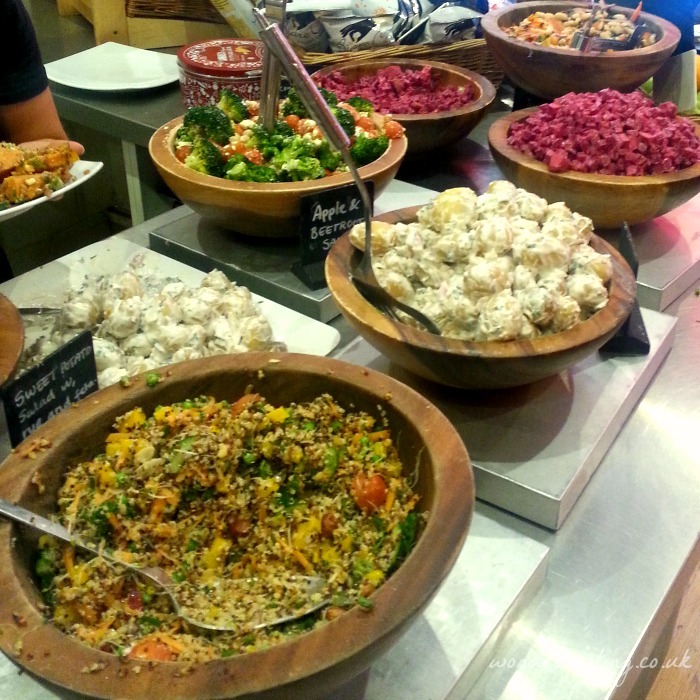 There are plenty of options for vegetarians with a colourful array of salads and cheeses. 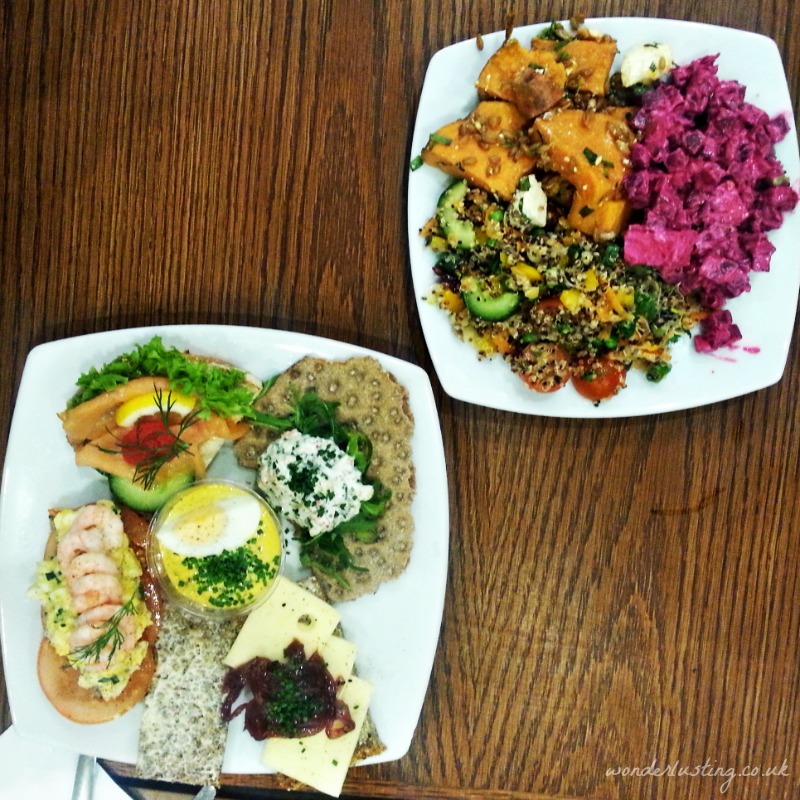 If you are vegan, then you will struggle with Scandinavian cuisine, options can be limited. There’s always crispbread and more crispbread of course. The staff can accommodate requests though so do let them know of any special dietary requirements. Be sure to save room for a sweet treat. 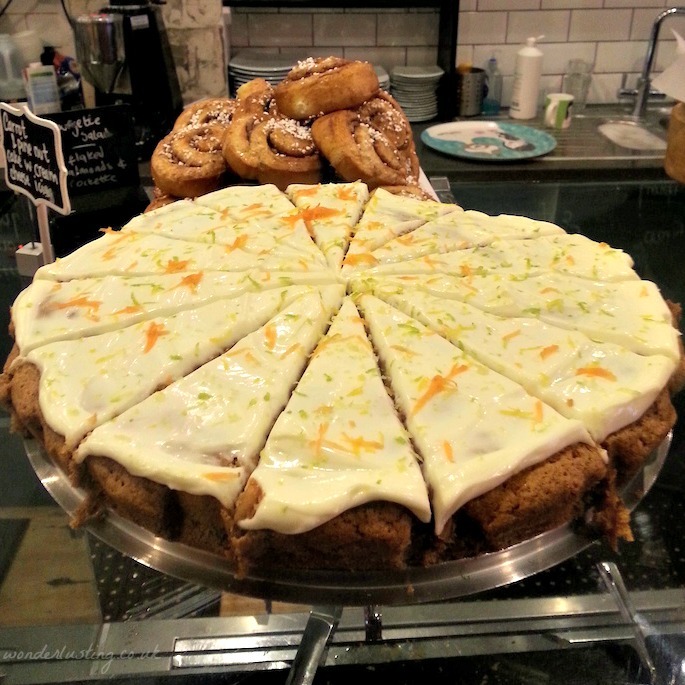 The counter is always groaning with mouthwatering, freshly baked cakes and Danish pastries (obvs). 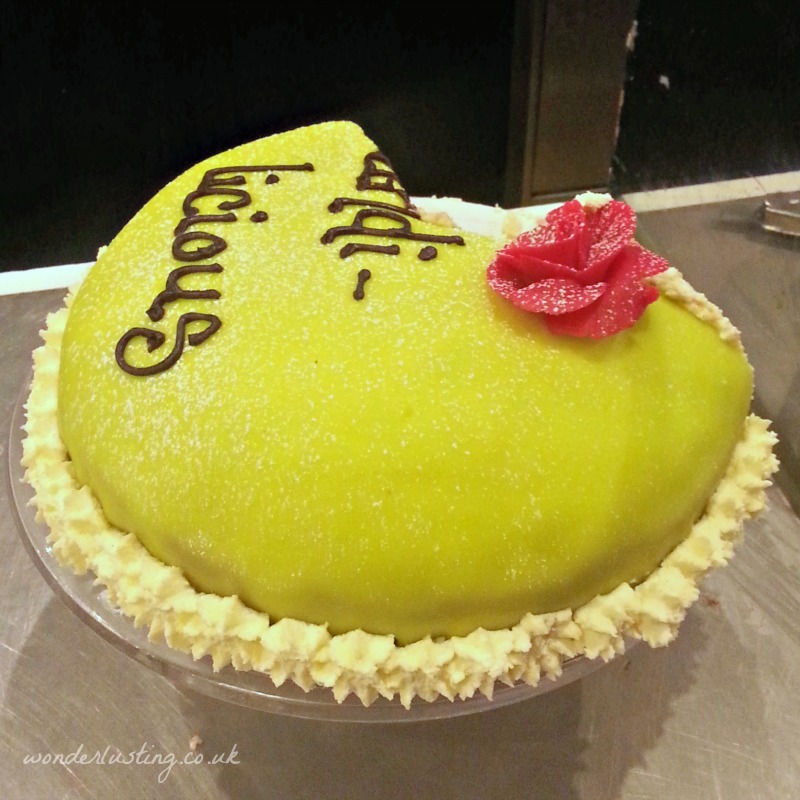 There is even the famous green marzipan cloaked, Swedish prinsesstarta (princess cake), which to me looks more like a Shrek cake, but who am I to question this icon. 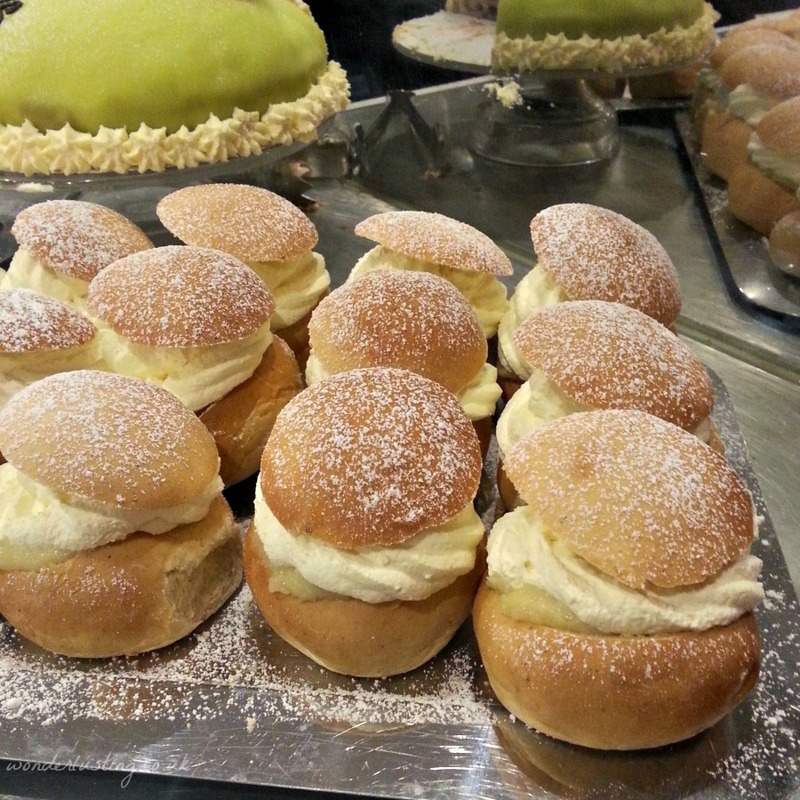 If you visit Scandinavian Kitchen at the right time of year, you MUST try a Semla. Absolutely scrumptious buns that reminded me of very light airy fluffy scones flavoured with cardamom and an almond paste and stuffed with light as air whipped cream. A seasonal treat these are traditionally only eaten in the period up to Easter. At the weekends, it’s all about the brunch specials including waffles with brown cheese and platters. 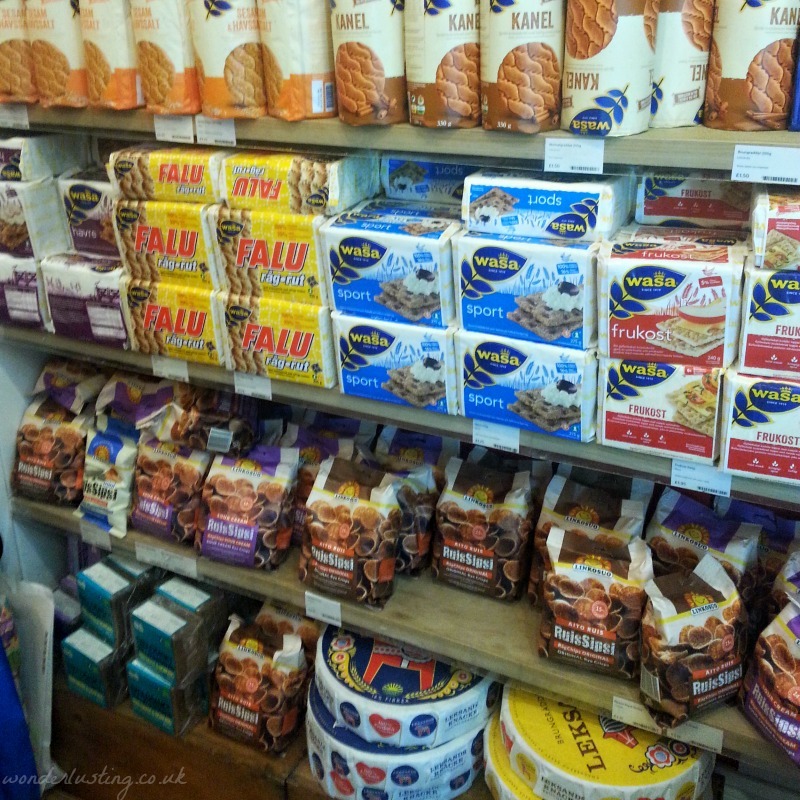 There’s also a mini market at the back to stock up on all those Scandinavian delicacies – perfect whether you’re homesick or trying to re-live a holiday moment. This looks amazing! I would love to go there and try their Semla! Thanks for sharing, lovely! Yum! They have Ruis Sipsi… I usually make Finnish friends bring these over when they come to visit!! They have everything it seems!